Across the country, students are regularly practicing active-shooter drills. But are the exercises making kids safer? And at what cost? Read it. I expected childbirth to change my body. What I didn't expect was how long it would take, or how hard it would be, to get back to normal. Read it. 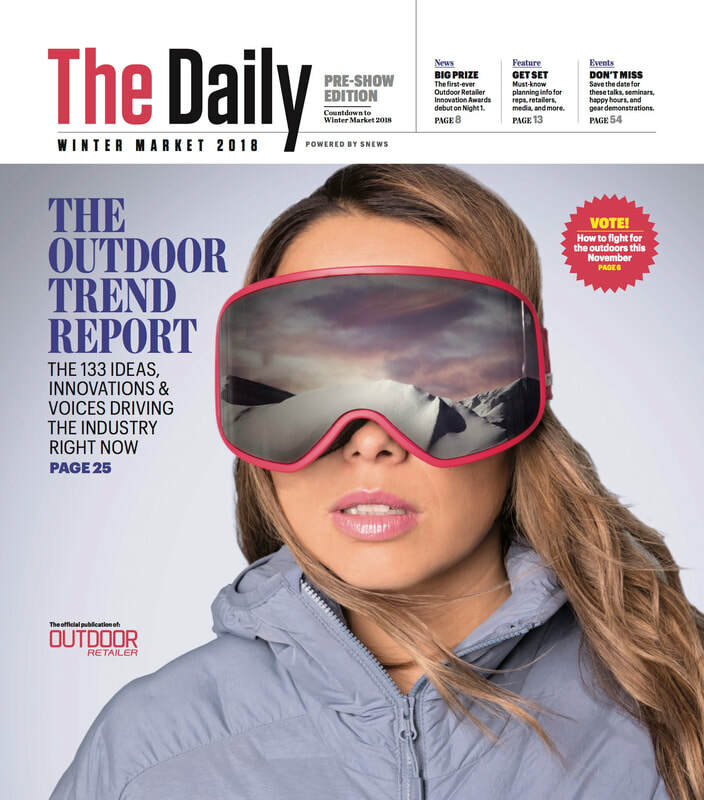 Our exclusive guide goes deep into to the forces driving the outdoor market of today and tomorrow: We consulted 57 industry experts to help you keep your eyes on the future of this vibrant, tumultuous, challenging, and ever-changing industry. Read it. For more than 100 years, our parks have provided life-list experiences, adventures, and stop-in-your-tracks views. But not all parks--or hikes--are equal. So what's a trekker to do? Start with these 25 trips, the new classics of the system. Consider them the merit badges of a very well-traveled backpacker. If you're looking for outrageous adventure, these mountain ranges deliver the goods. Read it. In the Colorado Rockies, epic snows transform the mountains into idyllic winter wonderlands. Read it. A glacial lake and cool microbrews are just two reasons to head for the mountains this month. Read it. Sacred trails the world over help hikers discover deeper truths about the world and themselves. But what truly makes a path transformative? Read it. Campfire meals in the Redwoods. Kayaking under the moon. Yosemite's sheer awesomeness. Here's everything you need to make the most of it all. Read it. Discover the magic formula for fun in Big Sky Country. Read it. From recycled down to PFC-free jackets, manufacturers are bringing sustainability to you. Read it. Natural chair cleaning, DIY sundials, the best way to weed your garden, and more (wrote some, edited some). Read it. That time I got a little lost at Canyonlands National Park, and how you can avoid the same fate. Read it. Call it the snowbird's guide to the national parks: Beaches, palm trees, sand dunes, and the occasional giant fruit bat. Winter brings a new sensory experience to the national parks, with scenery so fleeting you have to know where to find it. Here are our top picks for the best of the fourth season. Can a vacation ever truly change your life? When one family finally comes together for a long-awaited trip to Yellowstone, they find much more than geyser shows and wildlife sightings waiting for them. Read it. Successfully producing outdoor gear used to be such a simple endeavor: Make great product, then sell it through retail partners, or directly through a catalog or your own store. These days, the formula has become a lot more complicated. 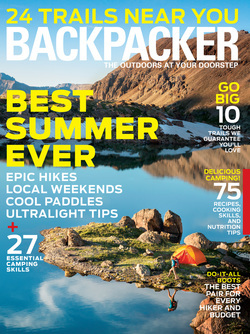 This 5-part series zeroes in on best practices for outdoor brands. Read it. Everyone in the outdoor industry knows the problem by now: The rise of online shopping has turned the marketplace on its head. This 5-part series examines innovative ways brands and retailers can work together to everyone's benefit. Read it. Sleeping under the stars in style in comfort. Read it. Sometimes, the only thing better than camping is not camping. Read it. These places are more than gateways to the good stuff. 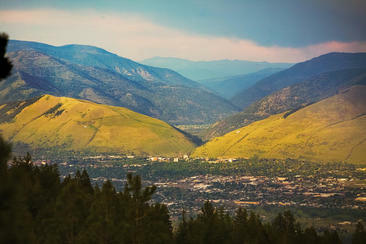 They're the home bases of the tribe, where backpacker culture carries from the nearby mountaintops all the way downtown. Stop, stay awhile, and say hello to the best hiker towns in the country. Read it. Cure your hangover with pear juice, cool science of wool, make your own red wine vinegar, and more (wrote some, edited some). Read it. Crowded campsites and lines for the outhouse? Save it for Bonnaroo. We'll take our wilderness quiet, raw, and lonely, thank you very much. Find your own patch of paradise when you follow these simple rules for escaping the hordes. Read it. Myth: It's riskier for women to hike and backpack alone than for men. We combed through crime statistics, consulted experts, and talked to veteran solo hikers to find out if there's anything to that common fear. The parks boast thousands of stunning trail miles, but some are just a hair more amazing. Find the top 100 miles in the entire system on these 13 hikes. Read it. Every night, while campers sleep peacefully nearby, a high-stakes battle takes place in Yosemite Valley. One one side, the park's team of wildlife biologists. On the other, Yosemite's population of smart, sneaky black bears. Like your favorite neighborhood watering hole, you can count on these hikes to deliver exactly what you need, exactly where you need it. Read it. From trail mix to trout, upgrade every meal with this complete guide to recipes, cooking skills, and backcountry nutrition. Yes, the views and exercise and fresh air make every backpacking trip worthwhile. But now, new research shows, staying home is just plain dumb. Learn how backpacking boosts brain power in this exclusive report from the frontiers of environmental neuroscience. Read it. Colorado and Wyoming rank at the top of the list for lightning-strike fatalities in the United States. It's scary stuff. But dying from a bolt of electricity may not be nearly as frightening as surviving one. Read it. Ski helmets? How I finally broke through a thick skull--to make sure it remains in one piece. Read it.